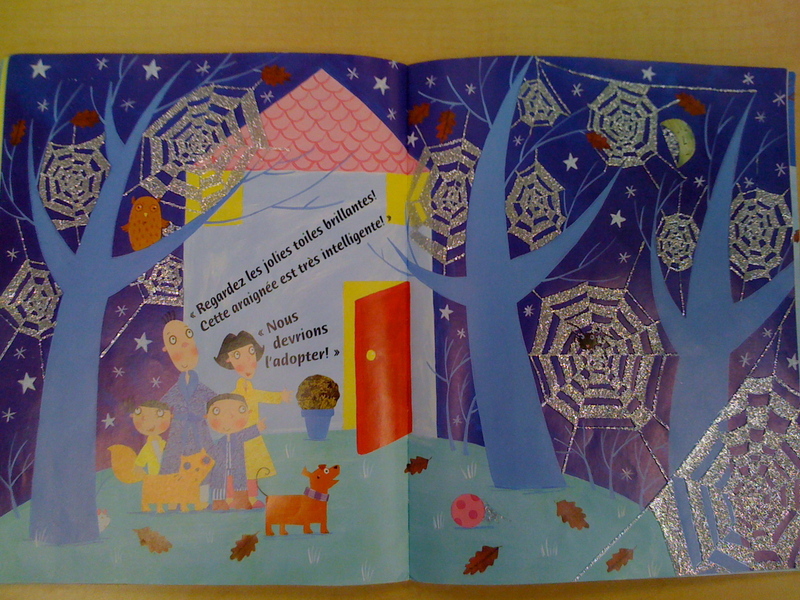 This idea originated on the Kinder by Kim website (they are under jazzy journals). 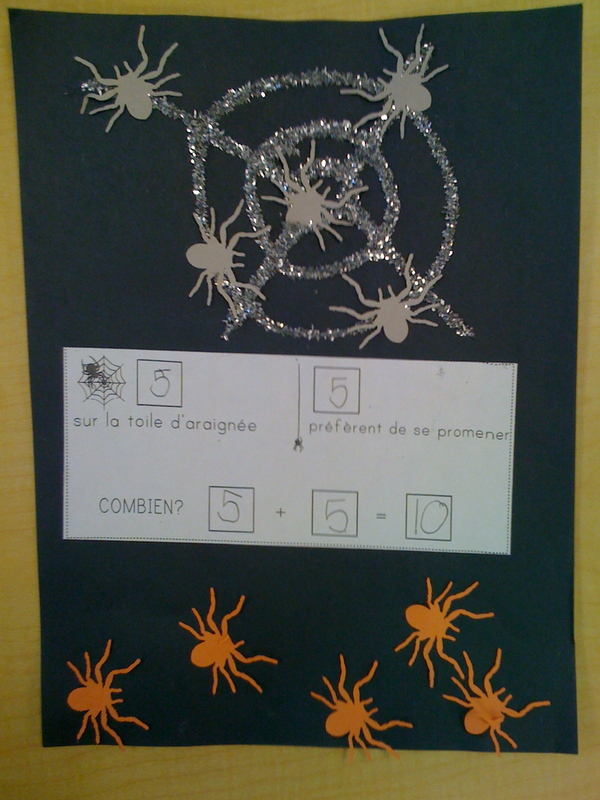 I have made my own journals for both kindergarten and grade 1 (en français of course) based on her fabulous idea. 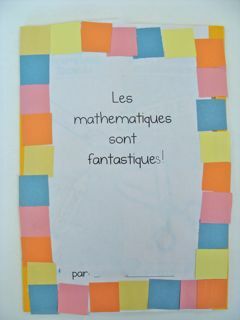 Here is the math journal cover I used. In kindergarten the journals were most often used to show the best friends of 10. What I liked most about these "journals" was that they gave me the opportunity to do a seasonal craft with my students that includes a legitimate curricular outcome. 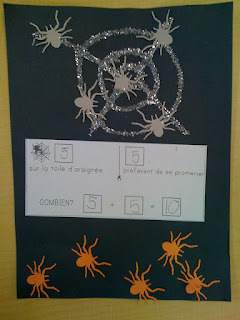 In both kindergarten and grade 1 we use ten frames to teach counting, number sense, and addition. You will notice that my math journals use the ten frames as well. We make the journal page as the culmunation of a math unit or skill for example, what makes ten, representing numbers to 20, 40 and so on. When possible I have begun to look for literature links to each journal activity and will include these as I find them. In September in grade one our theme is apples (how original, I know) and I sing the song "Five Green Apples" (I know, it's a subtraction song, I changed it for my purposes!) as we model a tree, apples and addition on the smart board. 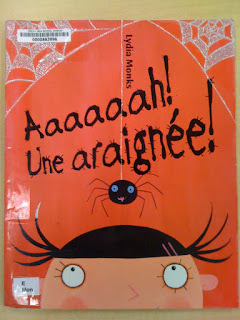 I made up lyrics in French and one brave day will record an MP3 of it and post it here! 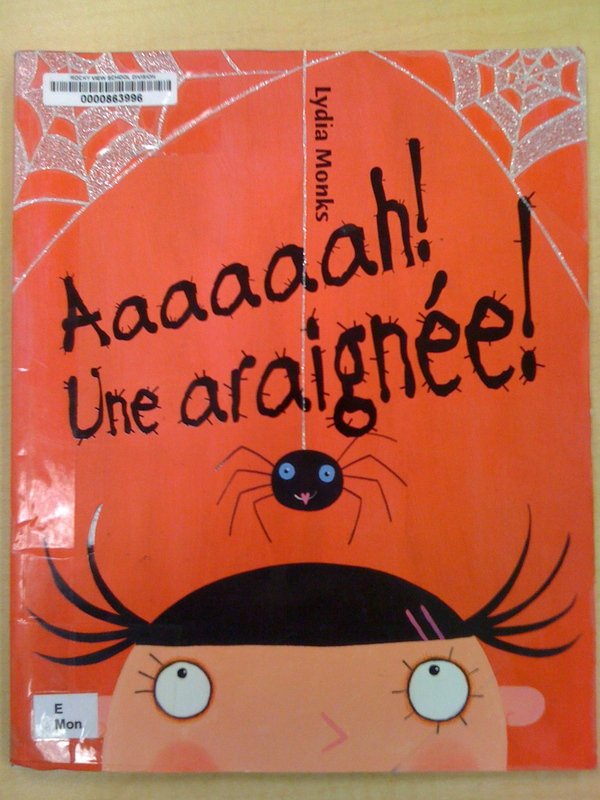 At Halloween I came across this delightful book. The language is at just the right level for my students. 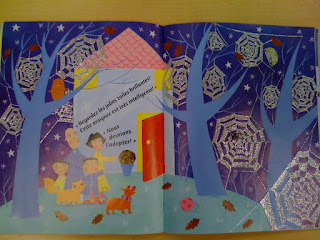 The middle page spread of the story is very similar to our own journal page. 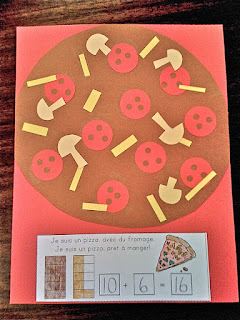 In November during our food unit in grade 1 we made math pizzas. 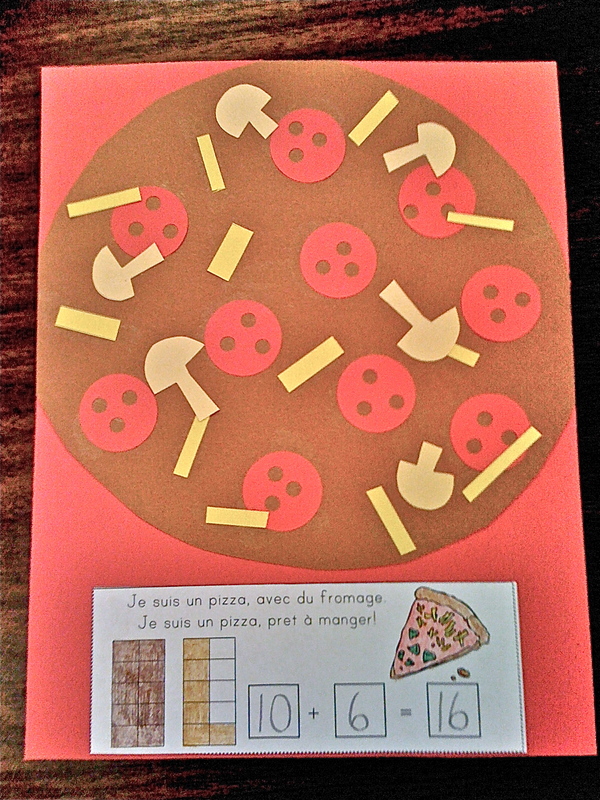 The song "Je suis un pizza" by Charlotte Diamond is an absolute favourite by our students in kindergarten. By grade one they are delighted that they already know the song. For this journal the cheese is added last and not included in the "math story" along the bottom of the page. Jan Brett's book Malicieux Pain d'Épice (Gingerbread Baby) is always a good choice in December.